Journalists in Delta State on Thursday in Asaba protested against the rising spate of harassment, assault, maiming and killing of their members in Nigeria. The protesters carried placards with various inscriptions that read: “Enough of Killing Journalists in Nigeria, Say no to impunity by state actors, Freedom of Information Act must be upheld in Nigeria, Say no to molestation of Journalists”, among others. They challenged the federal government and security agents to respect and shone acts of impunity against journalists in the country. 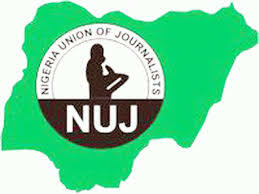 The state NUJ Chairman, Ikeogwu, in his address charge government at all levels to respect the sanctity of the pen pushers, saying the abuse of journalists by security agents in the country must be checked. He said it was an aberration for the politicians to treat journalists as shits without regards, adding that it was time for government to insist on all law enforcement agents in the country to treat journalist with respects instead of contempt. Ikeogwu, however, added that the protest had become necessary to bring to the notice of the government on the need to respect the freedom of information Act in the country. He said that it was a breach of the law for security agents to manhandle and impound journalists for carrying out their legitimate duties, adding that journalists in the country have become an endangered species. “This day we protest to say no to impunity, intimidations, harassment, the killing and assault of our members. “It is also a day to say no to the power that be, and a day to inform the international communities that we are no longer safe in our country, state and local government areas. “This land that we all fought and sought for, we have become an endangered species such that after doing our jobs, at the end of the day the politicians take the glory and the journalist are relegated to the background. “We say no to all theses maltreatment, we demand that journalist in the country must be accorded a right and proper place in our society and we must be recongnised and put in proper perspective. “We belong here, we contribute to the development of this country and we must have adequate representation and benefit from the wealth of thus nation because without the journalists, there will be no democracy in this country,” Ikeogwu said. He said that the journalists in the country could not be gaged by the government or the security agents, adding that government must cautious the security agents to stop all forms of attack and intimidations of journalists in the country.